This year’s Rathfarnham 5k takes place on Sunday 29th September at 10.00, on the fastest 5k in Ireland. Online entries are now open on the PrimoEvents website. Please enter Here. We have kept the entry price the same as we had in 2018 and 2017 at €20 per individual and the registration fee of €1.48. The minimum age to run in the 5k is 15. Run faster in the Rathfarnham 5k by using the 8 week training schedule on this website or join us at Rathfarnham WSAF Athletic Club and try out some of our training sessions at Nutgrove Park (Tuesdays at 6.30 at the old Clubhouse near the river), at our Clubhouse, Main Street Rathfarnham (Thursdays at 6.30) or in Bushy Park (Saturdays at 9.00 at the Children’s Playground). Please check out the reports of previous Rathfarnham 5ks to see how fast this course really is. We will also have a series of Juvenile Races on 29th September from 9.20, along Dodder Park Road before the main 5k at aged 8 – 10 (600m), 11 – 12 (800m) and 13 – 14 (1,000m). Entries for these runs can me made on the day at €3 each. We are delighted to say that DNG Auctioneers, Main Street, Rathfarnham and Heritage Credit Union, Main Street, Rathfarnham will be our main sponsors for the 2019 Rathfarnham 5k. We look forward to working with them to make our races a great success. 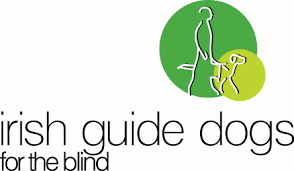 Our chosen charity for this year’s 5k is Irish Guide Dogs for the Blind. If you wish to donate to the Irish Guide Dogs for the Blind please donate here DONATE. Please see the videos of last year’s 5k on this website and there are thousands of photos on our Facebook site at Rathfarnham 5k.